We are thrilled that records of the 1828 Census of NSW which we hold as part of the State Archives Collection have been inscribed on the UNESCO Australian Memory of the World Register. This is wonderful national and international recognition of the State Archives Collection and our work in preserving and making accessible the State’s archives. See details below for our exciting regional tour of the census. The 1828 Census was the first official census undertaken by NSW after it was found the Governor had no authority to compel free men to come to a muster – the previous means of counting the colony’s population. 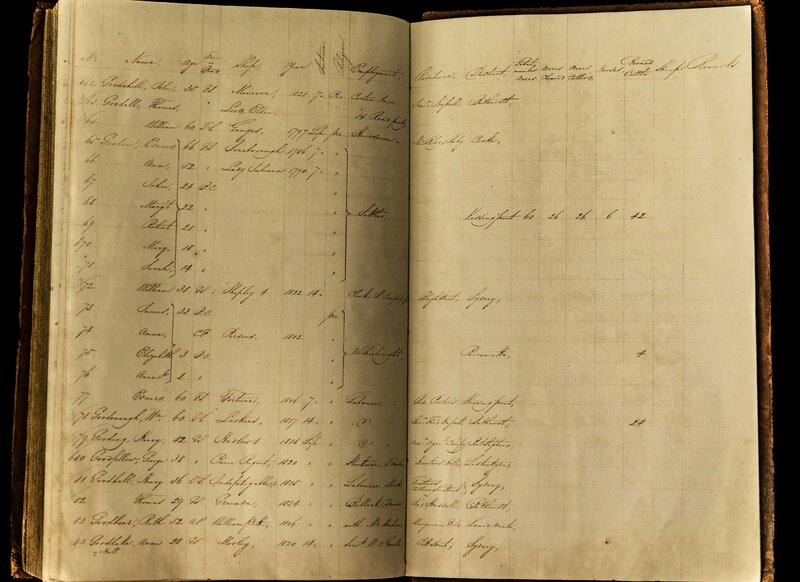 It records such detailed information for each person (including children) as name, age, if free or convict, if born in the colony or ship and year of arrival, sentence if arrived as a convict, religion, employment, residence, district, total number of acres, acres cleared, acres cultivated, horses, horned cattle, sheep, and remarks. We are in the process of digitising this material which will be made available on our website in the coming weeks. We are taking the Census on tour so that more people than ever before can view the documents. The tour includes a talk about the Census and why it is so significant and a display of one of the original 190 year old volumes that make up the Census.